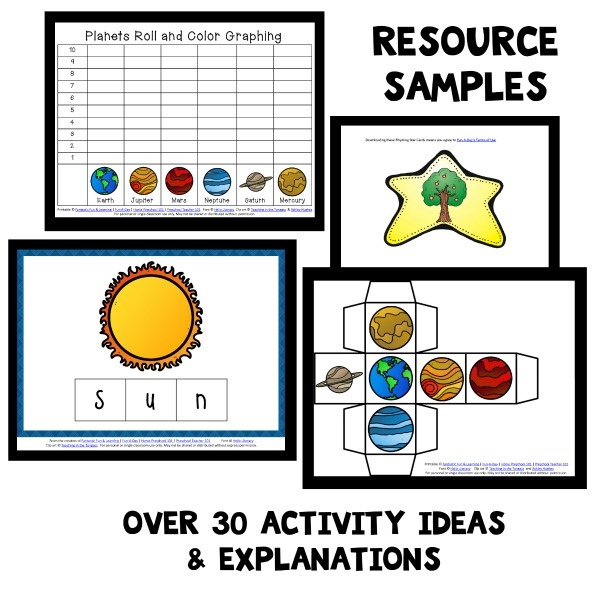 Since play dough is such a popular play activity for kids, we like to incorporate it into our learning activities often. 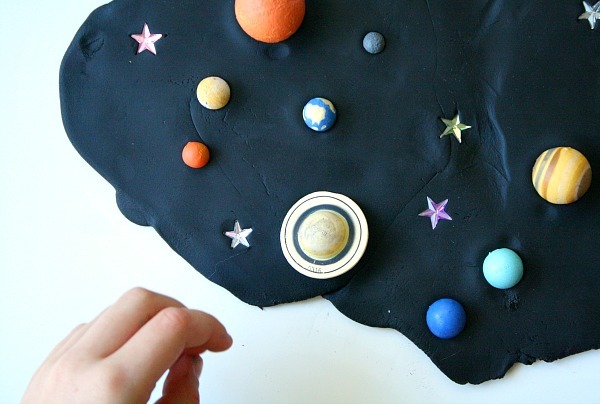 This outer space play dough invitation is inspired by our space theme lesson plans for home preschool and preschool classrooms. 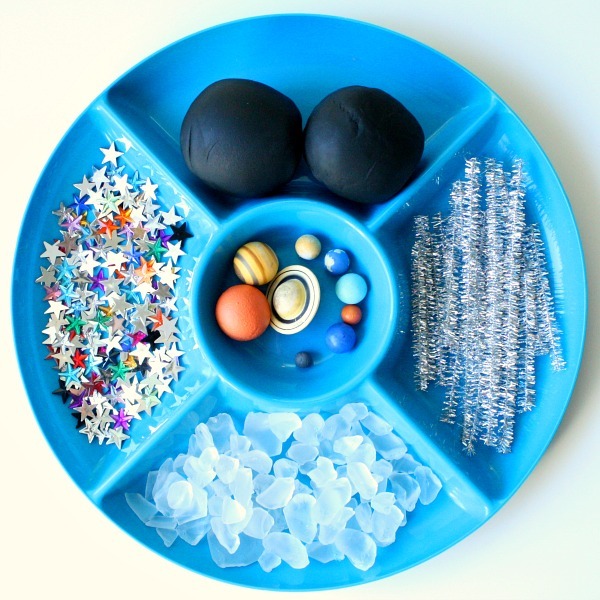 Set it out for kids to play with as they are learning about the night sky and the planets. Black play dough-Buy some or make your own with black icing color. 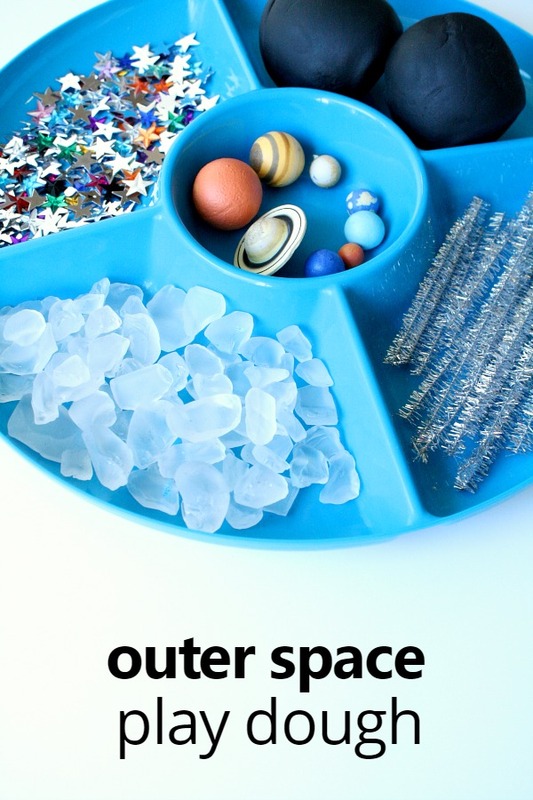 We set this invitation out alongside picture books about the solar system. 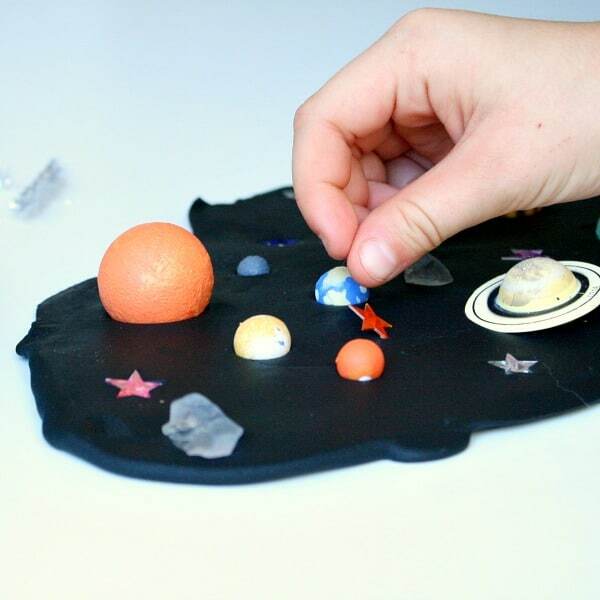 Some kids chose to try to create a model of the solar system by using the diagrams in the books. Others chose to design their own solar systems. Both approaches are perfectly acceptable.